Do lawyers have a duty to supervise cloud computing providers? 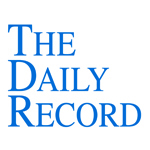 This week's Daily Record column is entitled "Maintaining confidentiality in the information age." 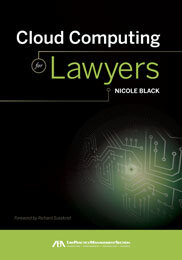 The lack of guidance from bar associations, caused in large part by the relative newness of the technologies, has also contributed to hesitancy regarding cloud computing. It’s only been over the past few years that a handful of ethics committees have issued decisions regarding the use of cloud computing products and lawyers’ obligations in regard to client data stored in the cloud or on mobile devices. Overall, the opinions, have reached similar conclusions centered around requiring lawyers to make reasonable efforts to maintain confidentiality when storing client data on third party servers, whether cloud-based or not. See, for example, Professional Ethics Committee of the Florida Op. 10-2 (2011), North Carolina Bar Proposed 2011 Formal Ethics Opinion 6 (2011), New York State Bar Association’s Committee on Professional Ethics Op. 842 (2010), Arizona State Bar Committee on Rules of Professional Conduct, Opinion 09-04 (2009), N.J. Supreme Court Advisory Comm. on Prof’l Ethics, Op. 701 (2006) and Nev. State Bar Standing Comm. on Ethics & Professional Responsibility Formal Op. 33 (2006). Last week the committee released its initial draft proposals (which are available for further comment through July 15, 2011) regarding a number of different issues, including confidentiality when outsourcing, which I’ll discuss in next week’s column, and confidentiality-related obligations when using technology, which I discuss below. (c) A lawyer shall make reasonable efforts to prevent the inadvertent disclosure of, or unauthorized access to, information relating to the representation of a client. Paragraph (c) requires a lawyer to act competently to safeguard information relating to the representation of a client against inadvertent or unauthorized disclosure by the lawyer or other persons or entities who are participating in the representation of the client or who are subject to the lawyer’s supervision or monitoring. See Rules 1.1, 5.1 and 5.3. Factors to be considered in determining the reasonableness of the lawyer’s efforts include the sensitivity of the information, the likelihood of disclosure if additional safeguards are not employed, and the cost of employing additional safeguards. Whether a lawyer may be required to take additional steps to safeguard a client’s information in order to comply with other law, such as state and federal laws that govern data privacy or that impose notification requirements upon the loss of, or unauthorized access to, electronic information, is beyond the scope of these Rules. This rule comports with the conclusions reached by other jurisdictions and provides useful guidance in the form of broadly framed, elastic standard that assists attorneys in making careful choices about the technologies that best fit their individual practices. All in all, this proposed rule is encouraging and I applaud the committee for their efforts. Next week, I’ll discuss the committee’s recommendations regarding maintaining confidentiality when outsourcing tasks related to client matters, which includes the use of cloud computing services, so stay tuned.